The Bolivian government asked Projects Abroad to participate in the opening ceremony of the country’s Plurinational Olympic Games, after seeing our volunteers participating in a parade on Bolivia’s Independence Day. “The government didn’t know this kind of therapy was taking place here, so the Minister of Special Needs got in touch with our project partners and invited us to participate in the opening ceremony,” says Carmen Herbas, Country Director at Projects Abroad. Volunteers and children took part in the event which featured participants of the Special Olympics. 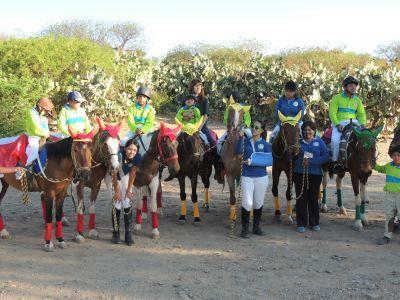 During the opening ceremony, Projects Abroad volunteers paraded with children involved in the Equine Therapy Project. 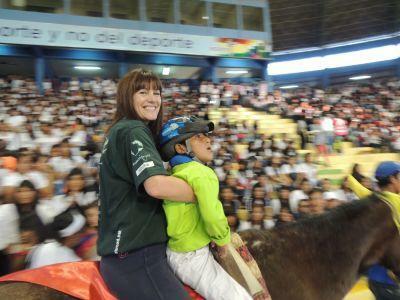 “The aim was to demonstrate to the public that children can get better with the aid of horses,” says Carmen. Equine therapy is a branch of occupational therapy and physical therapy that makes use of trained horses to help people living with disabilities to improve their physical mobility as well as their emotional well-being. Partnering with Centro Ecuestre Tunari, this program, run by Projects Abroad, has assisted children with disabilities in improving their movement, spatial orientation, posture, language, and muscle control. Read more about our Bolivian Equine Therapy Project here.